What is a “free good”? With that caveat in mind and the inherent incomprehensibility of anything that can be said in economics, we say that stocks that are trading at prices above the “price of risk” create an “economic free good” with the meaning that those prices have not been “earned” with the same integrity that the price of risk has been earned. To say that “the price of risk has been earned” means (exactly) that our money invested in the purchase of the stock at that price, the price of risk, is as good as cash and better than “money” because there is reason to believe that the stock price and other values such as dividends, will tend to hold their value and might even increase in value at a rate that is no worse than the rate of inflation. 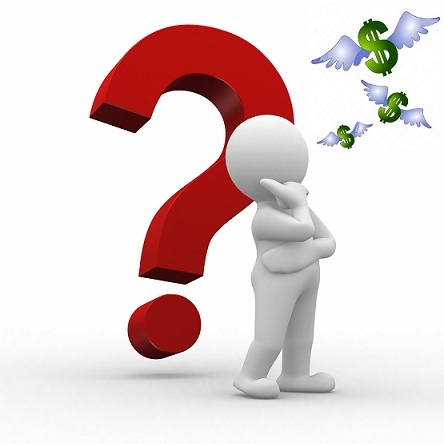 We are also entitled to say – that is, we can prove it – that a stock that is trading above the price of risk is “undervalued” with the meaning that there is “an excess of demand over supply” at that price because the investors who are willing to buy or hold the stock at prices above the price of risk have reason to believe that those prices will be earned and they are, therefore, reluctant to sell it at a lower price. Maybe it’s just a valuation failure? To which we must add the caveat emptor because there are many reasons that a stock may be driven to prices above the price of risk and “future value” as an unrealized “price of risk” might not have that much to do with it if all we have is “valuation” and “enthusiasm”. We’ve had to confront this issue because Silvercorp Metals Incorporated suffered a “valuation failure” in 2011 and has never recovered and neither did the Sino-Forest Corporation in 2012 (Reuters, December 19, 2013, Silvercorp short seller accused of fraud by Canadian regulator and The Financial Post, December 5, 2013, OSC hearing to test fraud allegations against Sino-Forest delayed). 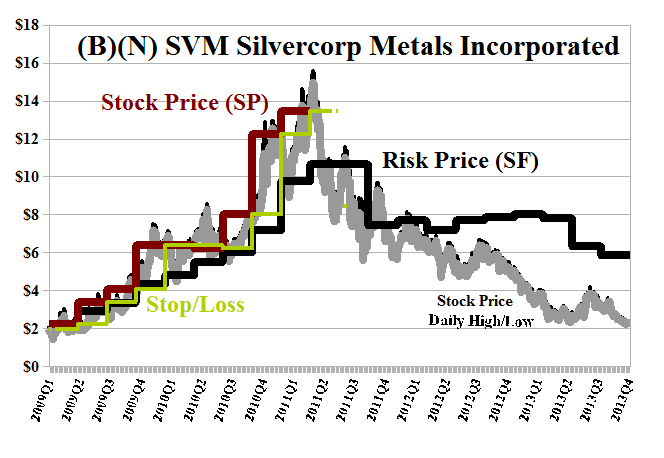 However, by simply knowing and respecting the price of risk, we were able to buy and hold Silvercorp Metals between $2 in 2009 and $13.50 in early 2011, but were stopped out by the alleged “valuation failure” and did not pray for a better outcome as many investors did as the market value of the company plunged from $2.3 billion to $1.5 billion three months later to $1 billion in early 2012 and the current $500 million. Investors who did not know the “price of risk” learned that the “cost of risk” was $1.8 billion or more than three times the current “market value” of the company. 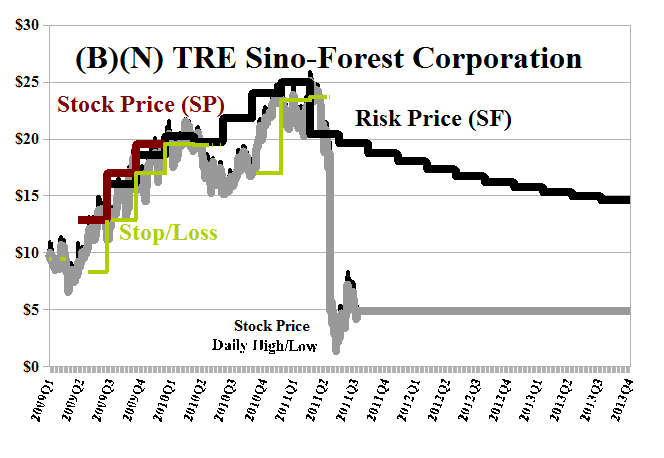 Similarly (with reference to the Exhibit below) in the case of Sino-Forest but the “cost of risk” was higher at $5 billion. 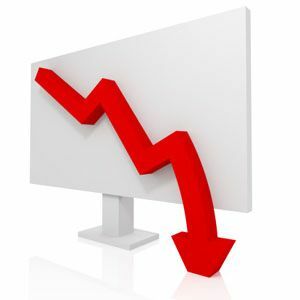 The price of risk continues to decline simply respecting the current nominal $5 stock price even though the company is not trading. However, based on what we know, an investor who buys the stock at $5 should have a reason to believe that the stock is “worth” $15 at the present time if, for example, the “valuation failure” turns out not to be correct. From the last published balance sheet, the company has total assets of $6 billion, debt of $2.5 billion and a shareholders equity of $3.5 billion with 250 million common shares outstanding that traded at $25 and then, $5.